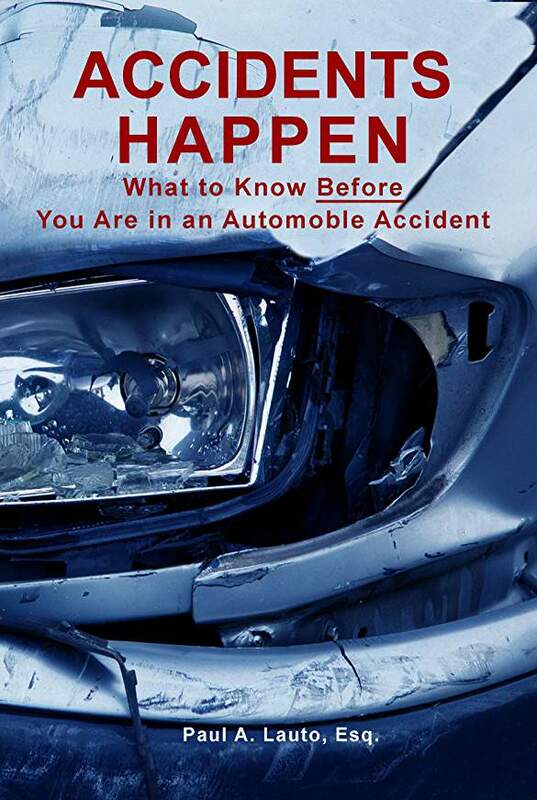 Accidents Happen offers invaluable insight on what to do when involved in a motor vehicle accident in order to safeguard your health, maximize property damage and personal injury claims and protect against self-interested insurance companies. Paul A. Lauto, Esq. utilizes his almost 30 years experience as a personal injury attorney to provide this authoritative guide on the do's and don'ts in plain and easy to understand language without the legalese. ACCIDENTS HAPPEN by Paul A. Lauto, Esq.